Five years ago today, I was introduced to a phone that would change both my mobile world as well as the mobile landscape in Australia itself – the HTC Dream. Launching officially on Monday February 16th 2009, the HTC Dream (or the G1 as it was known in the US) was instantly a standout to me in what was a vastly different mobile landscape to what it is today. In 2009, dumbphones ruled the Australian mobile market with smartphones limited to older PalmOS devices, Windows Mobile or a heavily feature hamstrung iPhone. At the time, the most popular mobile OS on the market was Symbian from Nokia. When it launched, the HTC Dream was running the first public iteration of Android. It wasn’t anywhere near the polished operating system we know and love today, although features of the original interface designed by The Astonishing Tribe (TAT) — such as the swipe down notification panel which has been copied by at least one major OS manufacturer — remains the same. But it was this phone that made me really love Android, the keyboard and trackball are things I loved about the phone and the ability to download apps from a centralised point – then known as the Android Market – was amazing to me, having hunted through sites for PalmOS apps and Windows Mobile apps previously. Although the Android Market was a fairly small affair with something in the region of 2,300 apps in the Market in March of 2009, this has grown substantially to currently offering over 1 Million Apps. 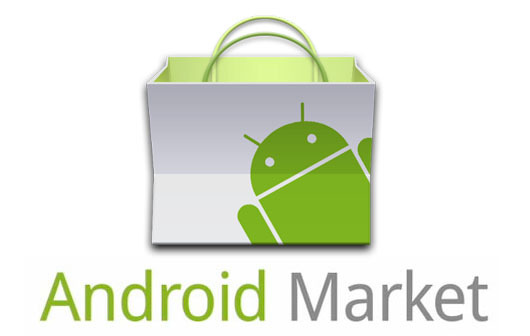 Android even beat Apple’s App Store to the 1 Million App mark in July last year. We're very happy to let all our Android customers know that you now have access to all paid apps in the Android Marketplace. When Android was first released, the concept of OS updates was still relatively new, but it’s something we all expect now and as with many updates that Android owners have waited for since the release, the update to Cupcake was no different. 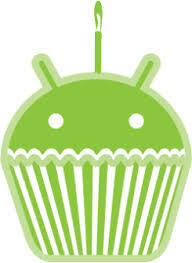 In April of 2009, Google released the Cupcake update for Android, it took until August for that update to reach the HTC Dream in Australia. Thinking about now, that 4 month turn-around is actually quite fast considering it was still a relatively new mobileOS and had to go through some rigorous testing before being released. 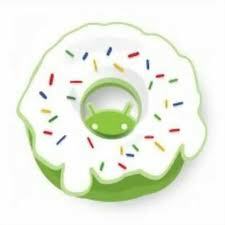 The upgrade to Android 1.6 (Donut) from Optus came in December of 2009, almost 3 months after it was released by Google and delivered to T-Mobile G1 users in the US. That was the last official update that was delivered to the HTC Dream, which has remained on Android 1.6 ever since. The Optus Mobile Upgrade page assured me – before it was removed late last year – that there was an Android 2.3.4 update available, but alas I never received my notification that an OTA update is available. The HTCDev site only lists the Android 1.5 update for the HTC Dream, but all is not lost with HTC announcing via their @HTCDev Twitter account in 2012 that the HTC Dream was officially added to the list of phones that could have their bootloader unlocked. The unlocking of the bootloader was not something that stood in the way of unoffical ROM builds being released for the HTC Dream/G1, indeed it was one of the first phones supported by the community and even Google launched a developer version of the phone in 2009. It’s been a wild ride with Android and despite some repartee back and forth between myself and Optus after purchasing the HTC Dream, I feel I owe a big debt of gratitude to Optus. They took a chance on a technically unproven OS, but at the time even they could obviously forsee what the HTC Dream and indeed Android could offer to the mobile market. Today marks the fifth year since Optus released the first handset running the Android operating system in Australia, the HTC Dream. HTC is very excited to be celebrating 5 years since the launch of the Android operating system in Australia. The HTC Dream was the first ever device that enabled us to deliver Google’s Android platform to Australians, and since then we have endeavoured to provide our customers with the best user experience through innovative smartphones. We consistently strive to develop devices that maximise the Android platform -anticipating and designing for the customer demands of tomorrow. This journey is reflective of the commitment that has come such a long way. I’ve now gone through a number of Android phones, sticking mainly to Nexus devices due to software update availability and a desire to stick with what Google wanted to show off with Android, beginning with the humble HTC Dream. I still have my HTC Dream and I still keep it charged and powered up, I know it will die one day but that should hopefully be a long time away. Tell us all about your first Android phone – was it a HTC Dream? What ever happened to your HTC Dream? I still have my HTC Dream and it is running android 1.1. I cannot find an update and the Boot unlocker is not for their Australian release. Still a good phone. Much more stable then the N97 mini. I got a HTC Desire in 2010 on Telstra. Amazing phone, still the best I’ve ever owned. I still have it as a spare phone, and it works perfectly. Upgraded to the OneXL, broke it. I do miss that keyboard. Occasionally I’ll pull it out of the bottom drawer and turn it on. Sadly the battery is shot and it only works on ac power. It did some good work for me back in the day. My first and current Android phone is the HTC Desire. It’s now running 4.2.2, and still going relatively strong (a nod to the good hardware that HTC builds). Now just waiting for the HTC M8 to be revealed… then can make a proper decision between the M8 or the Nexus 5.